2008 Foal, 16.1hh. Trained by Richard Fahey. Successful in 2 of his 6 starts as a juvenile. Placed 2nd in a 5f Maiden in June on debut and won a similar event later that month. Followed that with a 4th in the 5f Group 3 Molecomb stakes and a victory in a minor 6f event at Ripon. Final runs produced a place in a 6f Listed race and an unplaced finish in the 6f Group 2 Mill Reef Stakes. Failed to win in 5 starts at 3yo with his best efforts places in 5f & 6f Listed events. Better results at 4yo with 3 victories from 6 runs and his career finishing with a 2nd in the 5f Group 1 Prix de L'Abbaye. That run at Longchamp and his preceding win in the 6f Group 1 July Cup in midsummer both coming on going described as Heavy. His Group 1 win taking nearly 76 seconds to do the 6f. Retired to the Cheveley Park Stud at a fee of £8,000 and still there in 2015 with the fee down to £6,000 and £5,000 for 2016. 41 Yearlings sold in 2015, of 55 catalogued, for an Average of 26,355gns and a Median at 17,043gns. 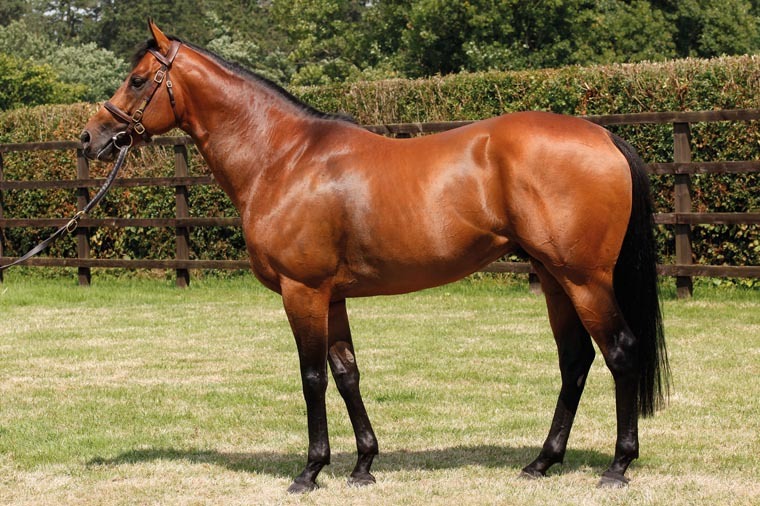 First Season Sire in 2016.